A confidential Justice Department memo concludes that the U.S. government can order the killing of American citizens if they are believed to be senior operational leaders of al-Qaida or an associated force -- even if there is no intelligence indicating they are engaged in an active plot to attack the U.S. 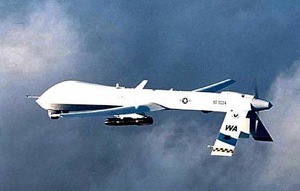 The 16-page memo, a copy of which was obtained by NBC News, provides new details about the legal reasoning behind one of the Obama administrations most secretive and controversial polices: its dramatically increased use of drone strikes against al-Qaida suspects, including those aimed at American citizens, such as the September 2011 strike in Yemen that killed alleged al-Qaida operatives Anwar al-Awlaki and Samir Khan. Both were U.S. citizens who had never been indicted by the U.S. government nor charged with any crimes. But the confidential Justice Department white paper introduces a more expansive definition of self-defense or imminent attack than described by Brennan or Holder in their public speeches. It refers, for example, to what it calls a broader concept of imminence than actual intelligence about any ongoing plot against the U.S. homeland. The condition that an operational leader present an imminent threat of violent attack against the United States does not require the United States to have clear evidence that a specific attack on U.S. persons and interests will take place in the immediate future, the memo states.